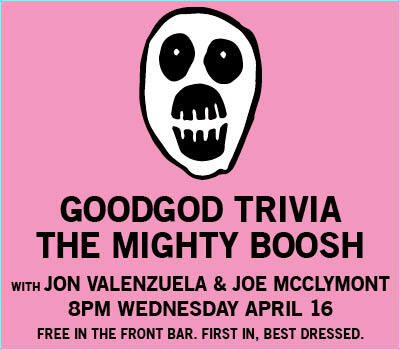 One of the most requested trivia topics is finally coming to Goodgod! Come with us on a journey through time and space! Get a team together and make everyone dress like Old Greg! First questions from 8pm, get down early for prime spots and good vibes. Hosted by the unstoppable Jon Valenzuela & Joe McClymont!